The Inter-Mountain photos by Shannon Bennett Campbell Mary’s Greenhouse can furnish that perfect poinsettia for any room or gift-giving occasion. December is a time of year when “dashing” takes on a new identity. An annual flurry of activity takes place and is usually focused on I-79 trips to Clarksburg or Fairmont where shoppers are invited to spend the day. Restaurants become crowded and store clerks are challenged to serve in a speedy manner. Some ideas could be offered to correct this course and ensure a slower pace with predictably better results. Let us consider targeting shorter drives to smaller towns where the hustle and bustle seem to disappear. Some new destinations that always add delight to the season could appear on your list of must-shop places. Buckhannon is home to the only Hallmark store in the area. Located on the Tennerton Road just before the Buckhannon-Upshur Middle School, a bounty of Christmas cards, children’s gifts, stationary and other decorative items fill the shelves and certainly get one in the mood for the holidays. This town is not unlike Weston or Elkins in that it also offers some antique stores where popular collectables can be purchased. Remembering someone with something they remember from their past can provide a special moment for them. Finish your visit with a lunch or sweet treat from Fish Hawk Market on Main Street and know your day has been well spent. They even offer supper entrees in their fridge for you to take home to hungry family members, so you will not have to cook after emptying your car of gifts. 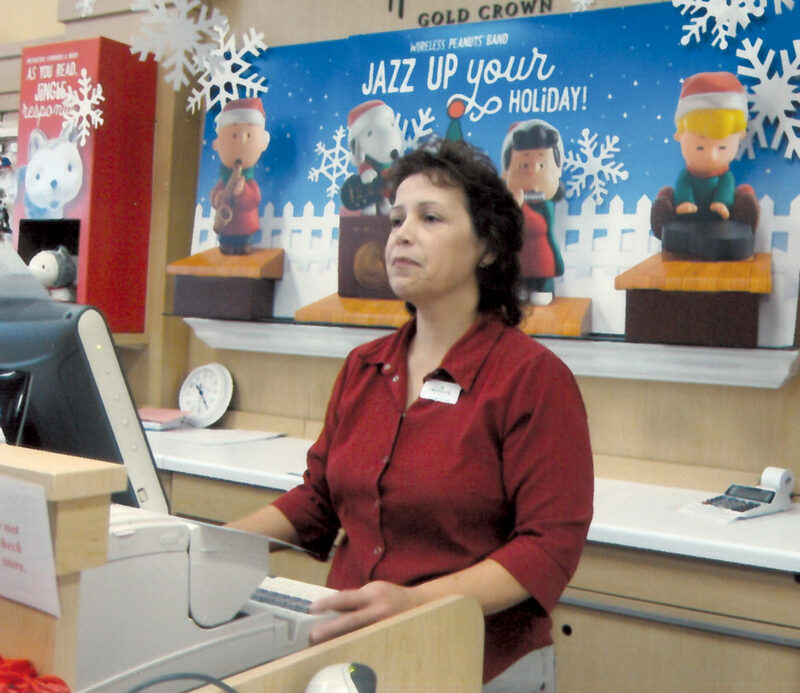 Hallmark Store clerks busy themselves with the patrons who annually stop-by to replenish cards and gift needs. Another enjoyable jaunt can take place at Stonewall Jackson Resort where their gift shop is girded in all kinds of tinsel and decorated trees. Jewelry, special perfumes and lotions, clothing and toys fill their shelves. The ambiance of decorated lobbies and a brilliant fireplace brings smiles to every visitor. A stop at Stillwaters Restaurant overlooking the lake will be a great completer for your trip and will provide some memories you will want to keep of Christmas 2018. While visiting Lewis County, be sure to pass through downtown Weston to see the dancing snowflakes that fill their Main Street. If you get there around dusk, you will be able to see quite a light show. Many other homes and businesses join in the decorating so you will have something to talk about as you return home. 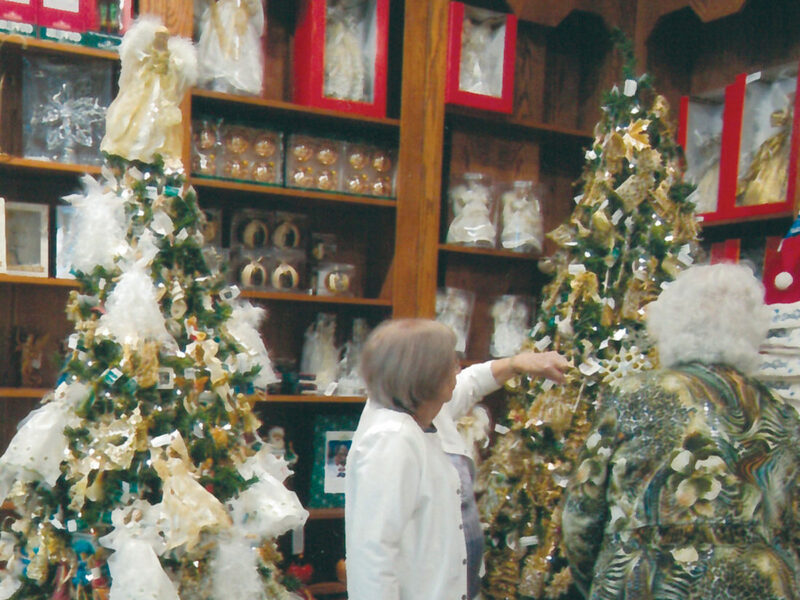 Weston’s Minnich’s Florists always offer a tremendous display of artificial trees filled with hundreds of clever ornaments in their showroom surrounded with wreaths and distinctive floral arrangements. Located near Main Street’s Masonic Temple, I never miss going here just because I feel so good after I see their artistry. 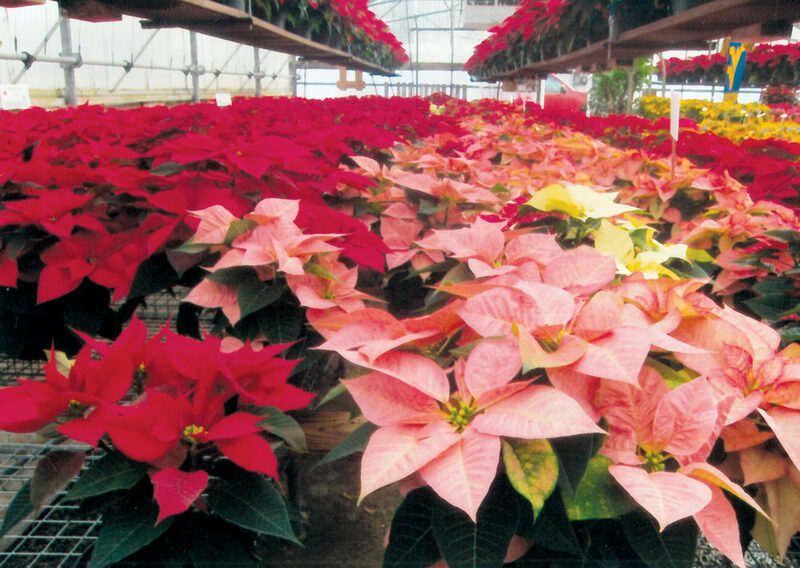 If you are looking for live poinsettias, Mary’s Greenhouse probably has one the right color and shape. If you catch their greenhouse assortment in early December, many varieties and sizes are available. Located in South Elkins on Ward Avenue, a cash and carry arrangement can be had. Elkins residents have no doubt noticed the afternoon car caravan entering the town and headed for the Polar Express that transports pajama-clad children and lets them experience the movie extravaganza. The gift shops surrounding the depot are loaded with items hoping to be purchased for Christmas Day. Beautiful sights await those visiting Stonewall Resort’s Gift Shop. Just north of Weston, a great lunch can be had at their Stillwaters Restaurant. While visitors are cruising through town, they may want to make stops at Artists at Work or Serendipity, a children’s clothing store. Hungry patrons can find refuge at Byrd’s Donuts, the many pizza shops or several good restaurants. A certain good experience will possibly make this trip an annual event. Shopping has become a holiday tradition because we want to give freely to those we love in the spirit of God’s gift of love that was given to us with Jesus’ manger birth. His presence in this world is a unifier, rather than a divider; a symbol of our similarities, not differences. However, many travels we make to prepare for Christmas Day, we want to remember Christmas’ true meaning and work at celebrating that spirit with all whom we meet. I wish you days filled with joy and cheer as you embark upon less stressful activities, and I hope you will concentrate on filling your time with what makes you your merriest. Happy holidays!